Hello all. Today I’m uploading a tribute painting in honour of a very special friend of mine. I don’t normally post things relating to my personal life, but today in particular is a very sad day for me as it marks exactly one year ago since Wendigo, one of my cats, passed away. I love and miss him with all my heart and soul, so it only felt right to take time out to do this tribute painting for him. Copying from a photograph, I used senelier watercolours on NOT pressed watercolour paper. I had to use a bit of creative license for this as the photograph itself is rather dark and awkward. He is black and white, but had to darken parts of the white fur for depth. I also added some spatter effects to try and boost his portrait a bit more. Finally to finish, I added some relevant text, which I did quickly using a brush pen and fineliner. Wendigo meant a lot to us here. He had tons of character, and was also very regal. Because of this, I nicknamed him “the prince”. Although no one here will quite understand, I hope that at least you enjoy my artwork for today. For those who’ve ever lost a pet or animal family member, my thoughts are also with you. Thank you. Best wishes to everyone and I’ll see you next time. 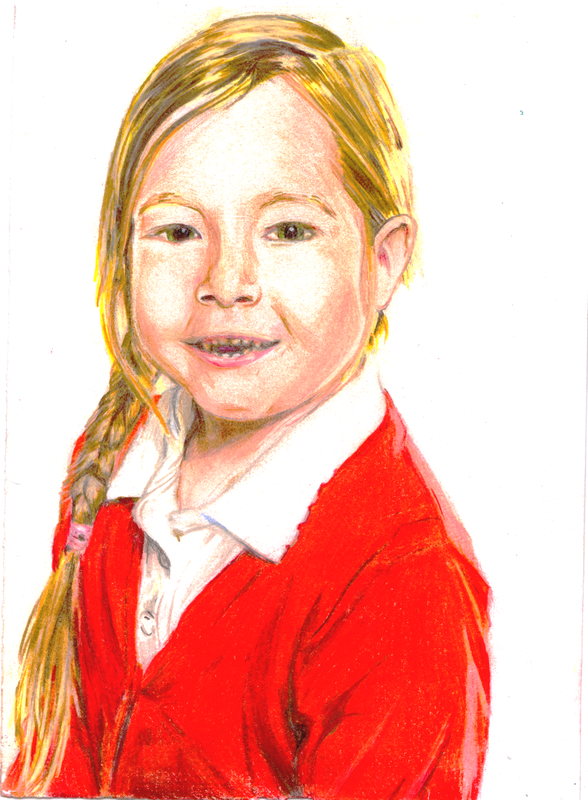 This is yet another portrait I commissioned which is of a young girl. This was finished in colour pencil. I will be uploading another portrait I completed tomorrow. A portrait I had completed on commission for someone. Drawn in colour pencils. Took me about 8-10 hours to complete altogether. I shall keep this update brief. At the moment, my schedule is still relaxed, but I will be hard at work on my Toy Lazfar project again soon. For now, thanks for staying with me & I hope everyone has a good up and coming new year. The first was completed on request by my mum shortly after Amy’s death, whilst the second was completed for her as a Christmas surprise. 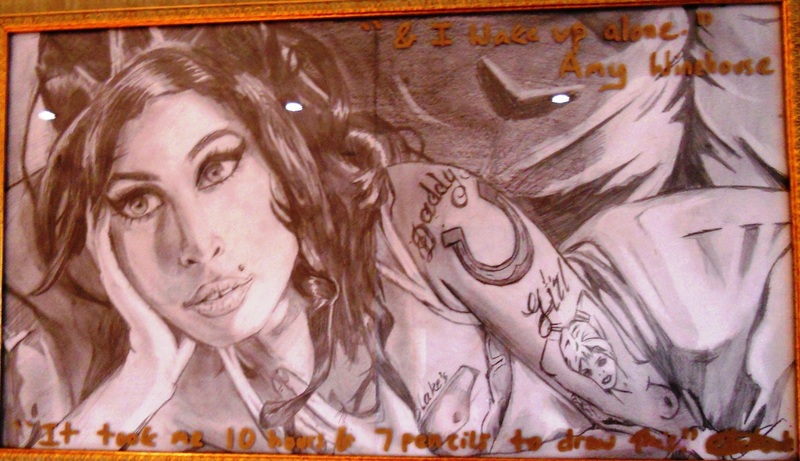 This is the first Amy Winehouse observation that I completed. I drew it shortly after she died from an image on a tribute page in a newspaper in July 2011. Original photographer unknown. This is the second pencil drawing. I completed this observation on Christmas day 2011. Original photo of Amy Winehouse by Bryan Adams.